Carbon fiber is an important structural material. 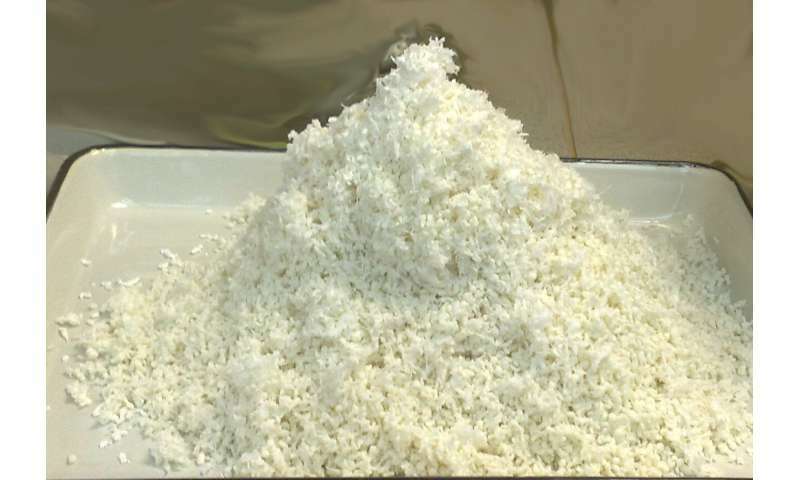 Due to its high strength, in combination with low specific weight and high oxidative stability, it is an indispensable material for airspace and shipbuilding industries, construction, medicine, the sports industry, and other high-tech industry sectors. The main method of carbon fiber production involves heat treatment of synthetic fibers obtained from polymers based on acrylonitrile. The quality of the finished carbon fiber and its strength characteristics largely depends on the composition and molecular weight characteristics of the polymer raw materials (precursors) from which the fiber is extruded. Therefore, researchers seek new compositions for copolymerization, and to develop effective polymerization methods that enable the control of the molecular weight of the samples obtained. According to Ivan Grishin, head of the research laboratory for organic synthesis and radical processes at Lobachevsky University, the UNN researchers sought to develop a new method for producing acrylonitrile copolymer to obtain a precursor for high-quality carbon fibers that feature high strength and elastic modulus. To obtain these acrylonitrile copolymers, the researchers used atom transfer radical polymerization (ATRP) for the first time, with copper bromide as a catalyst. Due to the high initiation efficiency and the fragment-by-fragment chain growth, this method produces narrowly dispersed copolymers with specified molecular weights. "As a result of our experiments, we obtained samples with molecular weights of more than 70 kDa and a narrow molecular weight distribution, which meets the requirements for copolymers to be processed into high-strength carbon fibers. The important advantages of the proposed method are the use of very low concentrations of the catalyst (at the level of hundredths of a percent), as well as the high rate of the process, which is due to the use of glucose as an activator," said Ivan Grishin. The composition and copolymerization method proposed by UNN scientists can be used to produce acrylonitrile copolymers to serve as precursors for high-strength carbon fibers.